Take a walk up the beach on Ambergris Caye and you are bound to find a few things. A tiny shell, a piece of drift wood, a plastic bottle or…maybe a cool looking piece of coral. But here are some of the more regular visitors on your shores. Pumice – You can almost always find a scrap or two of this floating rock – but there are certain times when it is all over the beach. Sea beans: Also called drift seeds. These are my new sea-obsession. They are seeds from around the world that can float short or long distances. The most famous is the coconut. 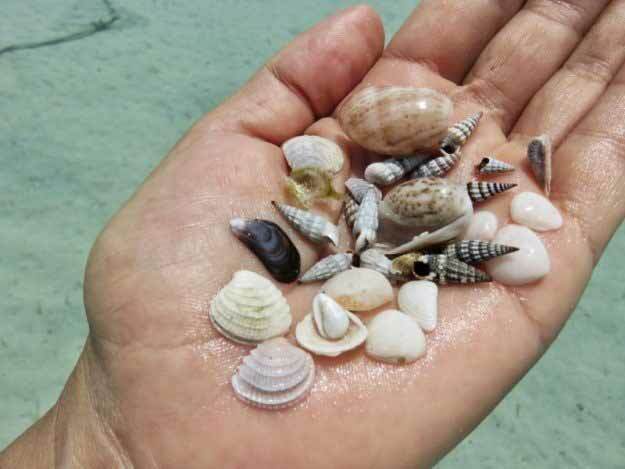 You’ll find conch shells that have been discarded by fishermen. And just this past week, we had an influx of these scallop like shells.